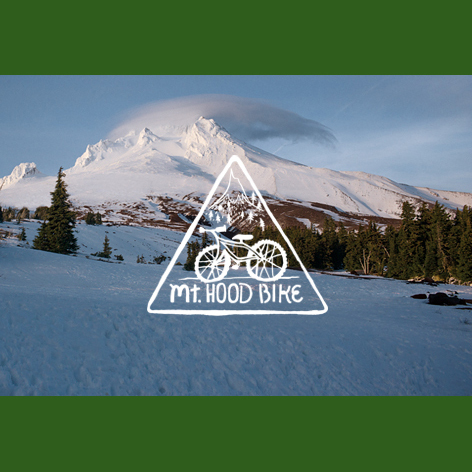 The first bike to be hidden for the 7 bikes for 7 Wonders of Oregon has been assigned to our lovely Mount Hood area. One bike will be hidden each week in their given wonder area, skipping the week of the Fourth of July. The Mount Hood bike scavenger hunt begins Monday, June 15th and if you want to keep this bike you'll have to be the first one to find it. Read some of Travel Oregon's Bike Scavenger Hunt FAQ's below. How will I know where the bikes will be hidden?On each Monday starting June 15th, we will post a video revealing the location for that week’s bicycle on one of our social channels (i.e., Facebook, Twitter or Instagram). Later that week, we will post a second clue on TravelOregon.com and rideOregonRide.com revealing the trail on the Wonder where the bicycle is hidden. On Friday or Saturday of that week (depending on the Wonder), a physical clue may also be provided on the trail near where the bicycle is hidden. How will I know if/when the bike has been found?We will post a picture of each winner with the bicycle on social media as soon as someone finds it. We will do our best to post to social media immediately, but given the limited reception in some areas there may be a delay. Be sure to follow @TravelOregon on Twitter and Instagram and/or “Like” the Travel Oregon page on Facebook so you get the most up-to-update information bout the scavenger hunt. If I win the bike, how do I get it home?Transportation for the bike is up to the winner and will not be provided by Travel Oregon. Do I need to pay any fees to participate?Nope! You may need to pay a land use fee to visit some of the Wonders but there is no fee to participate in the scavenger hunt. Note, winners will be responsible for all federal, state and local taxes based on the value of the bike. What happens if two people find the bike at the same time?We will ask each person 10 questions about Oregon. Whoever gets the most right, wins the bike!